Princess Eugenie stands tall at 5 feet, 5 inches, thanks to the life-changing efforts of doctors and nurses at Royal National Orthopedic Hospital. 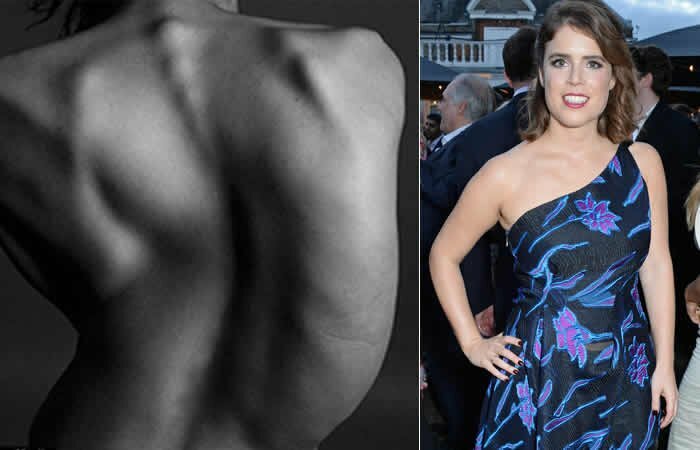 In her latest Instagram post, Eugenie, 28, opened up about her scoliosis diagnosis as a child. She posted a photo of her X-rays, which show the eight-inch rods doctors inserted into her spine and the 1.5-inch screws at the top of her neck after an eight-hour operation she endured at just 12 years old. “Today (Monday, July 2) is International Scoliosis Awareness Day and I’m very proud to share my X Rays for the very first time,” she wrote in the caption. Eugenie has been a patron of the Redevelopment Appeal, a fundraising campaign for newer facilities and equipment for Royal National Orthopaedic Hospital, since 2012. As part of her involvement, she revealed more details of the lead-up to her surgery and her recovery. She also added that she was most inspired to get involved by the next generation of children suffering from scoliosis. “Without the care I received at the RNOH, I wouldn’t look the way I do now; my back would be hunched over, ” she said. “And I wouldn’t be able to talk about scoliosis the way I now do, and help other children who come to me with the same problem. Perhaps her biggest contribution will be the Princess Eugenie House, a new residential space for parents and other relatives of children being treated in the hospital. Eugenie is known for her humanitarian efforts. She recently visited a house for survivors of human trafficking and is a patron of the Teenage Cancer Trust, along with her sister, Princess Beatrice. Eugenie, daughter of Prince Andrew and granddaughter of Queen Elizabeth, became engaged to her longtime boyfriend, Jack Brooksbank, in January. Their wedding is scheduled for October 2018 in St. George’s Chapel at Windsor Castle, where her cousin Prince Harry and Meghan Markle were married in May. Go to your doctor if you notice signs or symptoms of scoliosis in your child.